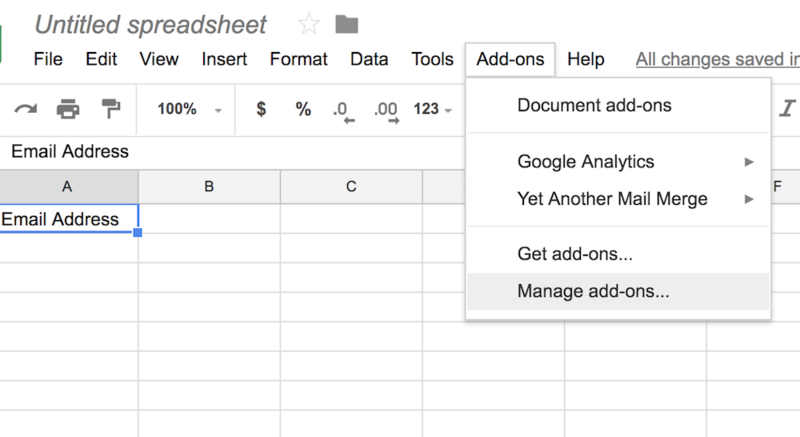 Google Sheets can be used for a lot more than just storing and organizing your data. 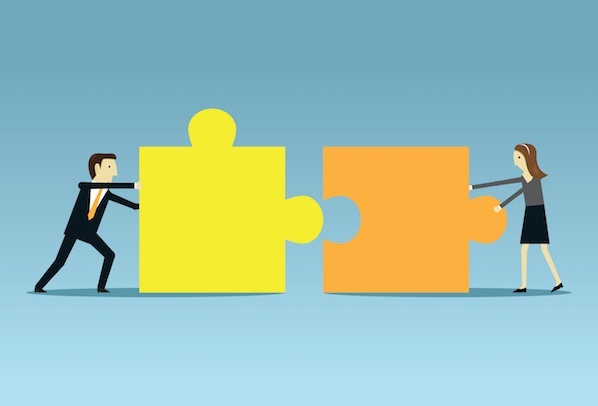 With the right add-ons, you can streamline your reporting process, collect big-picture data predictions and analysis, and even send emails -- all from your spreadsheets. 6. 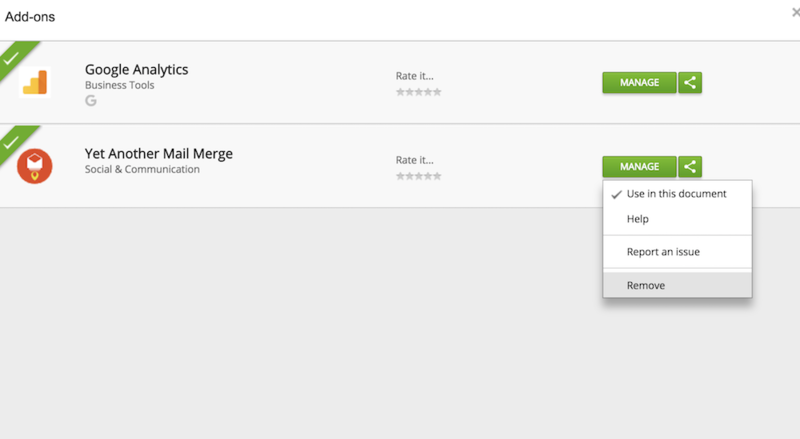 If you want to remove the add-on, click the green "manage" button, and then "remove"
Important note: You’ll only see these add-ons on a desktop, they don’t work on mobile. Also, most add-ons work for both Chrome and Safari, but some are only designed for Chrome. 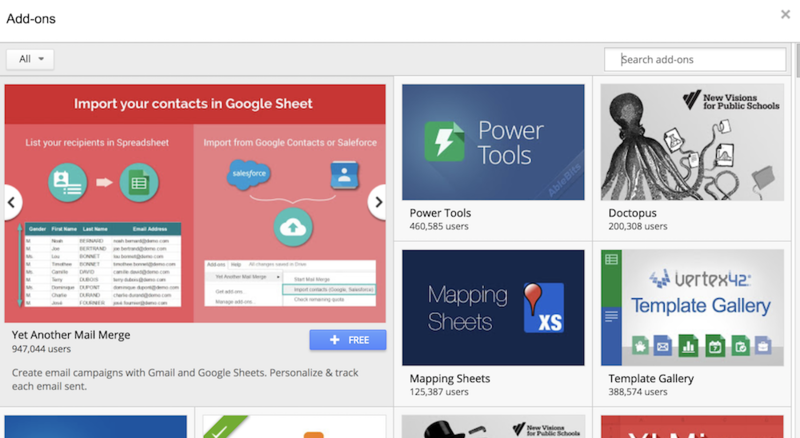 Now that we’ve got that covered, here are 12 Google Sheet add-ons that can streamline your entire reporting process. 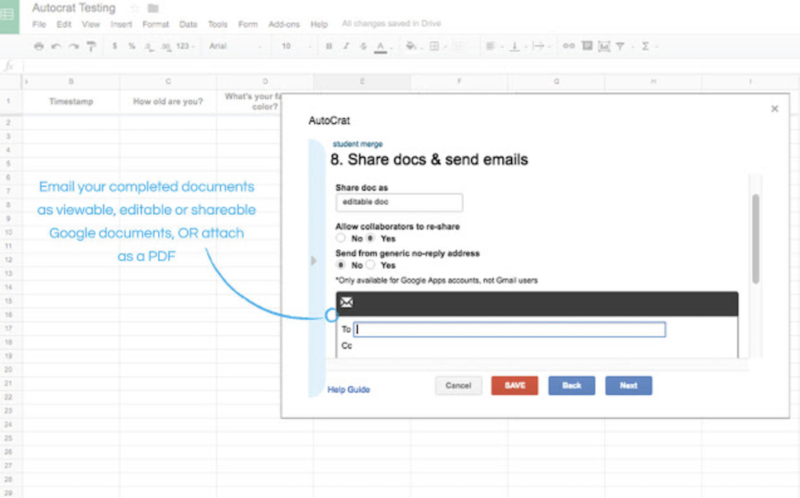 1.autoCrat: When you’ve finalized a spreadsheet and want to send it to someone else, this add-on enables you to merge your spreadsheet data into a document and email your data as either an attachment. Autocrat can also mass-generate personalized documents. Image credit to autoCrat add-on. 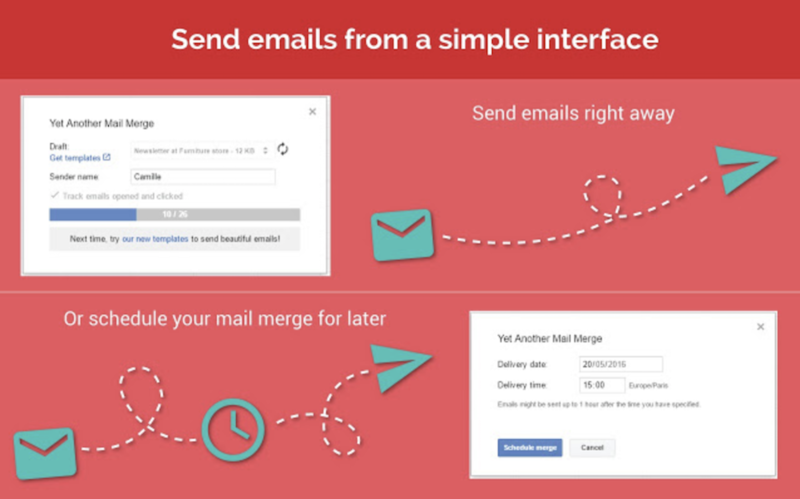 2.Yet Another Mail Merge: This tool automates email campaigns, tracks emails, and lets you personalize emails for specific contact groups. 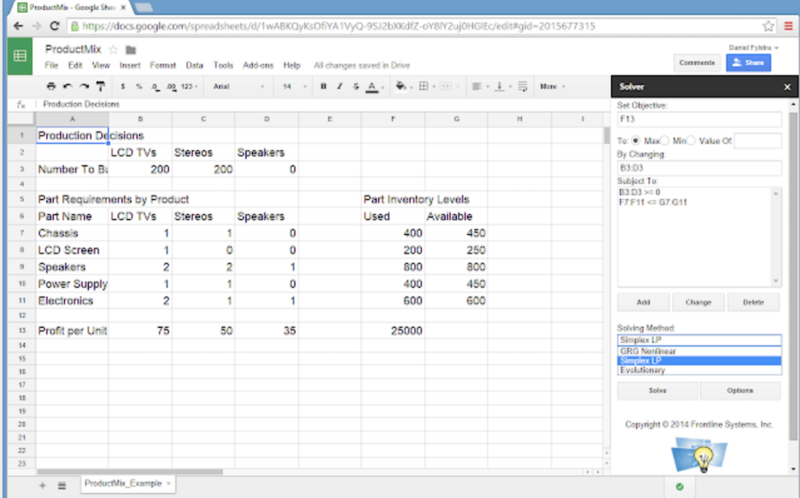 To do this, you simply import your contacts into a spreadsheet, and choose a Google email template. You can send one generic email to all your contacts, or customize emails for different contact segments. Image credit to Yet Another Mail Merge add-on. 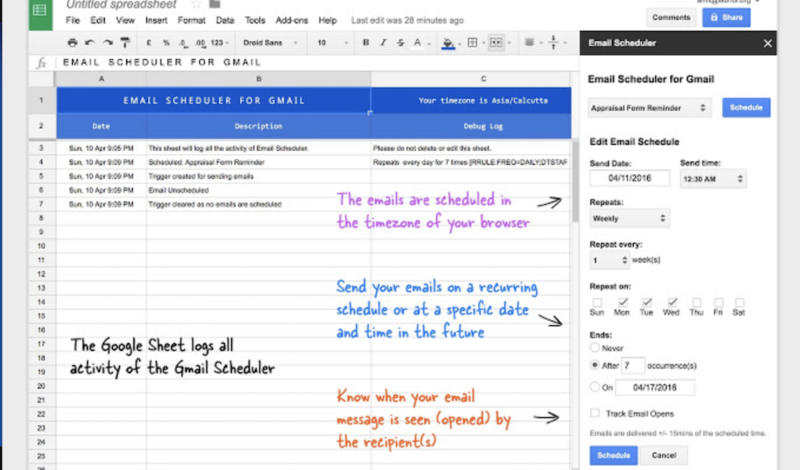 3.Gmail Scheduler: Gmail Scheduler allows you to schedule emails for later. 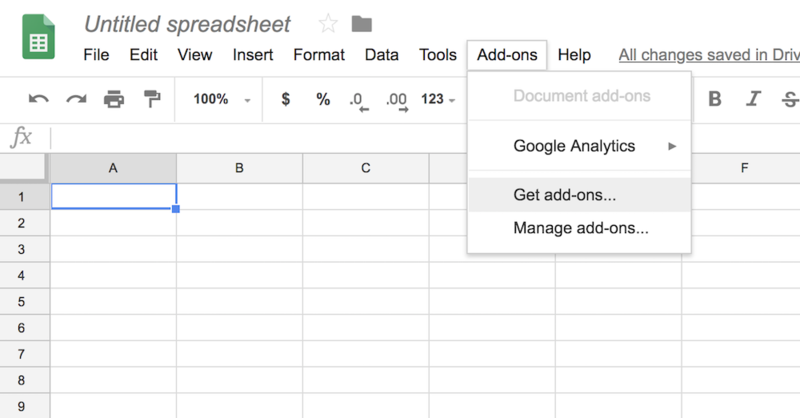 After writing your email in Gmail and saving it as a draft, your spreadsheet will automatically send the email at the appropriately allotted time. Image credit to Gmail Scheduler add-on. 4. 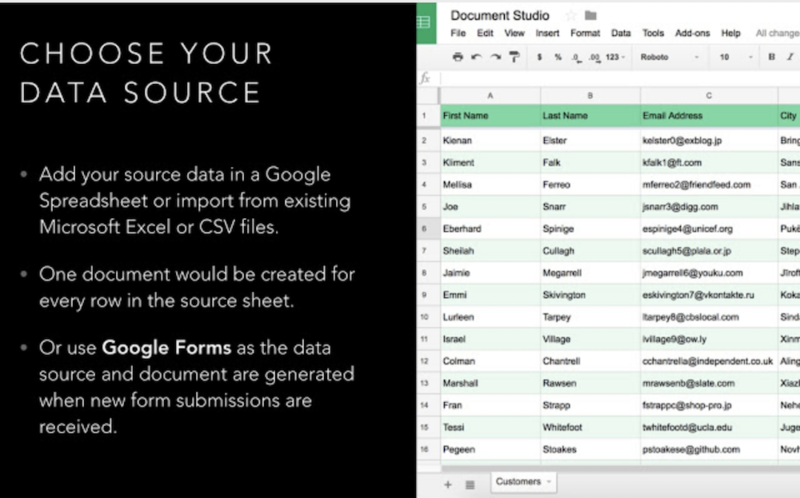 Document Studio: If your data is spread out across spreadsheets, Excel sheets, Google Form Responses, and CSV files, this add-on makes it possible to combine all your miscellaneous information into one clean document. Among other things, Document Studio assists you in creating highly sophisticated marketing pitches or business letters. 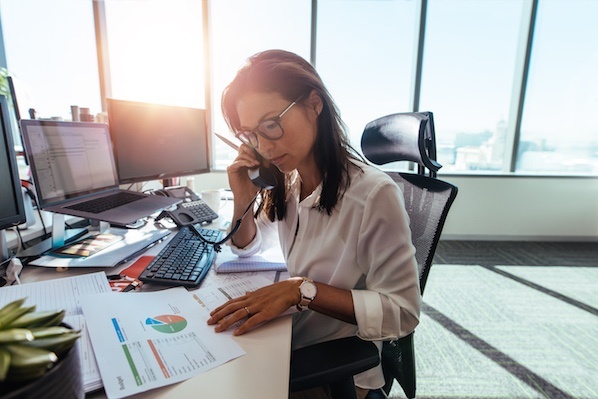 It’s your choice whether you want your final document in PDF format, Google Sheets, Docs, or Slides, Microsoft Powerpoint, Word, or Excel, HTML or Plain text, or an ePub eBook. Image credit to Document Studio add-on. 5. Power Tools: Power Tools is a useful all-in-one service to cleanup data, reformat it, combine sheets, split columns, customize formulas, and more. If there’s one service in Power Tools you use a lot, you can even save it as a favorite. The add-on also automates mundane tasks, like adding or removing text by position. Image credit to Power Tools add-on. 6. 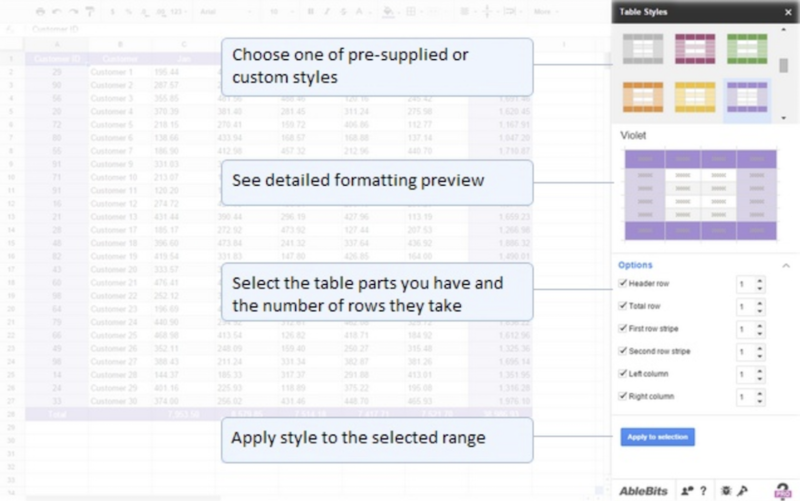 Table Styles: If you want to use your spreadsheets for presentation purposes, Table Styles helps you achieve a sleek style. 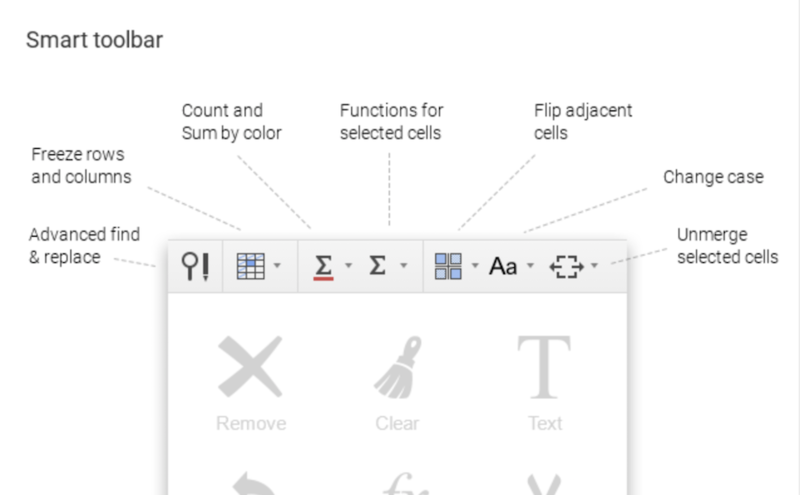 With Table Styles, you’re able to add custom or predefined styles, fonts, borders, and colors to your sheet. 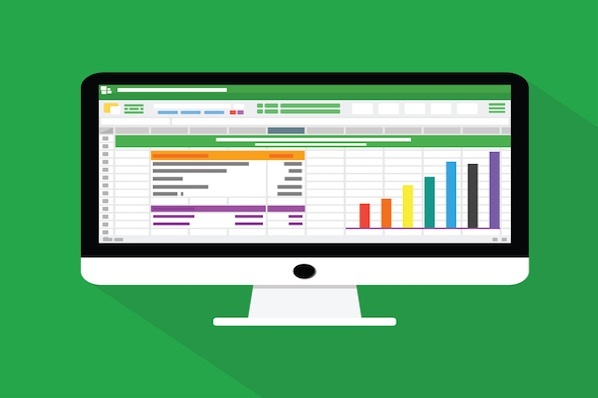 If you were presenting a spreadsheet at a marketing conference with company data, for example, you could use your company colors for a professional look. Image credit to Table Styles add-on. 7. Awesome Table: This add-on gives you the option of viewing or analyzing data in other visual forms. 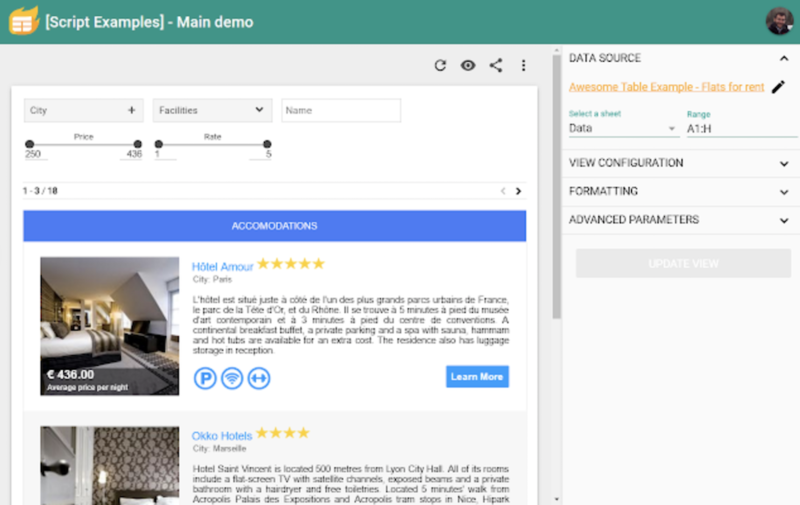 Awesome Table transforms your data into charts, maps, cards, visual tables, or other custom interfaces. Image credit to Awesome Table add-on. 8. 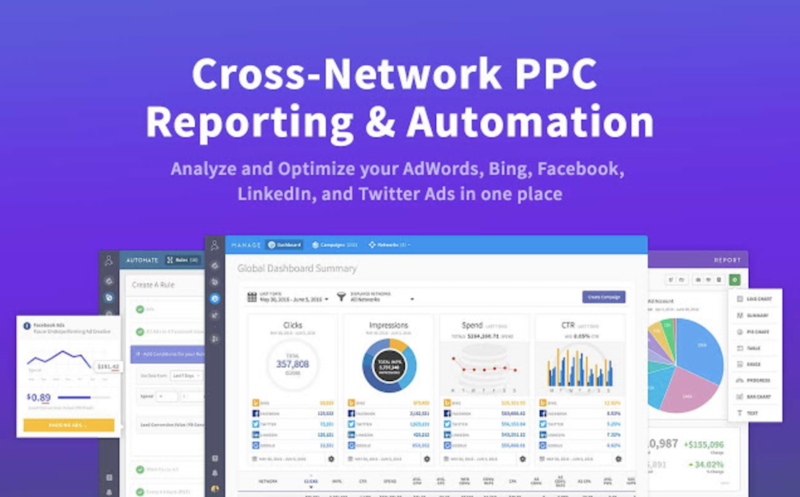 Solver: Solver helps you maximize profits, minimize costs, and deal with budget allocation, which is particularly useful if you’re in charge of budgeting multiple marketing campaigns at once. Solver can calculate and model your data, and provide solution optimization, as well. Image credit to Solver add-on. 9. 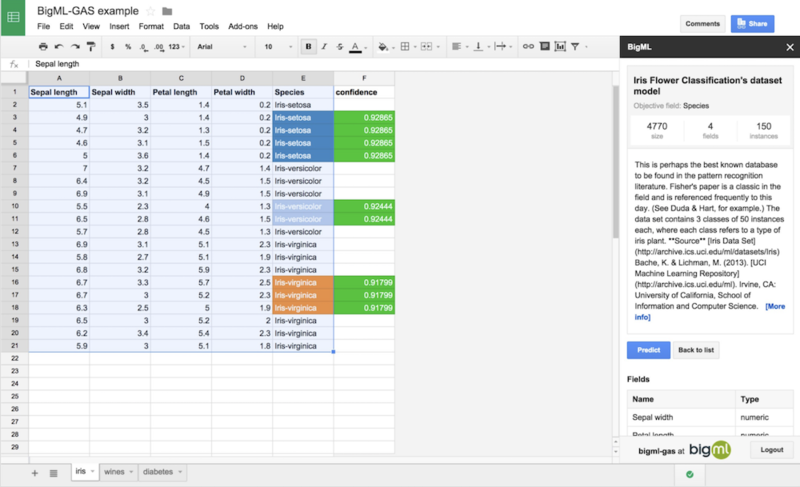 BigML: Conceiving predictions with your data is often tricky, time-consuming, and inefficient. This add-on solves that problem by extracting value from your known data and filling the blank cells in each data row with predictions. It also assigns confidence levels to predictions, and populates lead score values. 10. 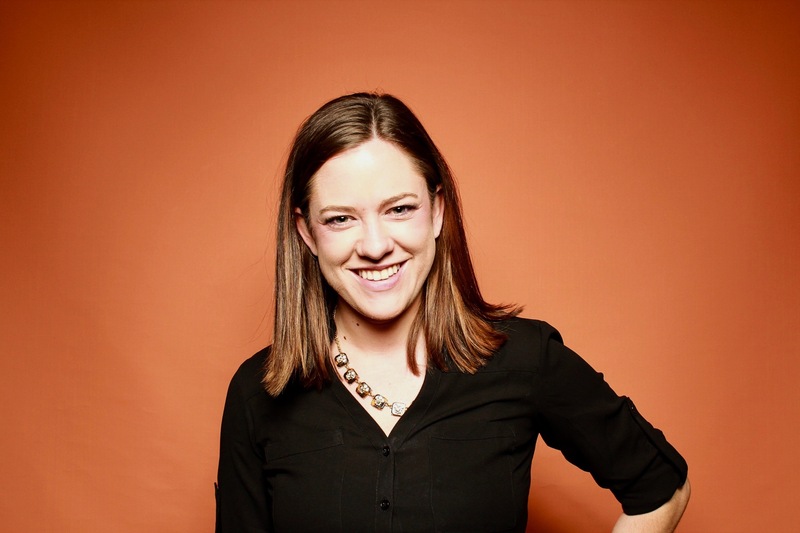 AdStage: If you’re employing paid marketing strategies, this tool incorporates your paid marketing performance data directly into your spreadsheet. It provides tools for A/B testing, so you can determine your top-performing campaigns or ads. It also enables you to gather cross-network SEM data in one table, and more. Image credit to AdStage add-on. 11. 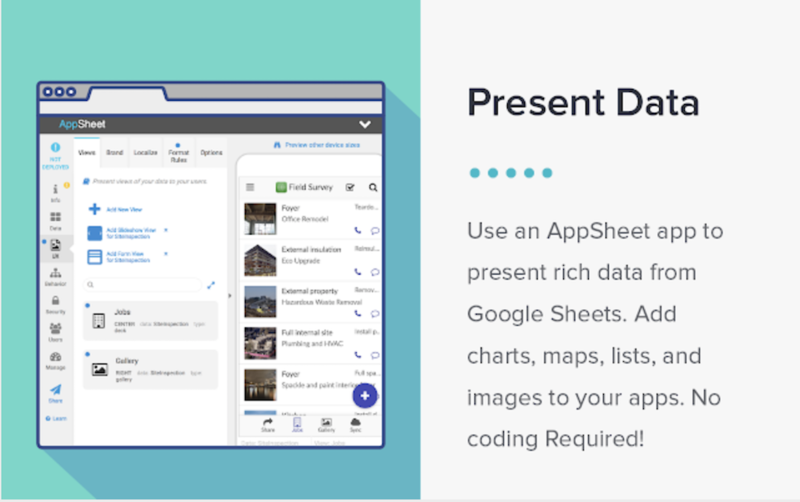 AppSheet: Building a new mobile app has never been easier -- this add-on allows you to fill your spreadsheet with data including contacts, products, inventory, property, and anything else you want tracked, and then automatically converts that data into your new mobile app. If you’re interested in creating a custom app to distribute to employees or customers, AppSheet works effectively within minutes. 12. 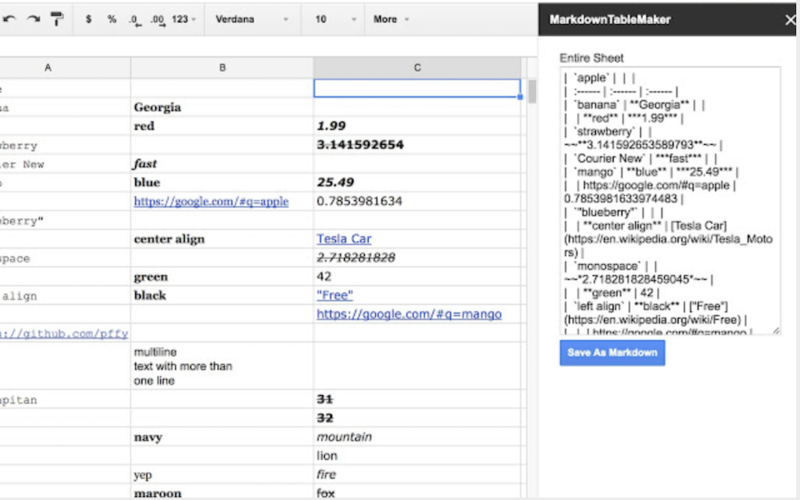 MarkdownTableMaker: If you’d prefer seeing your data in a Markdown table, this add-on converts your spreadsheet (or individual columns) into Markdown. 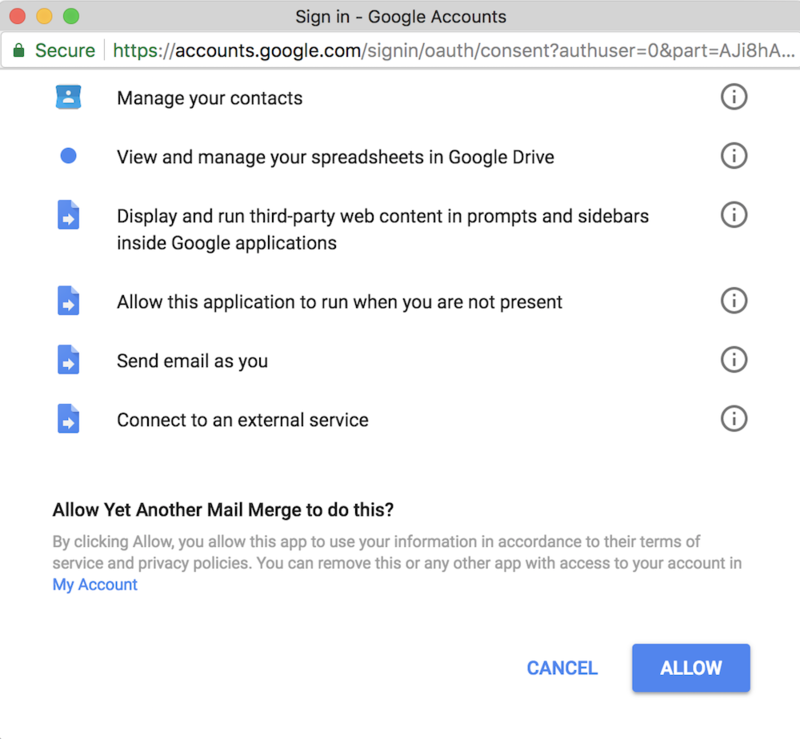 You’re also able to save the Markdown conversion to Google Drive, or copy and paste it anywhere else you want. Image credit to MarkdownTableMaker add-on.